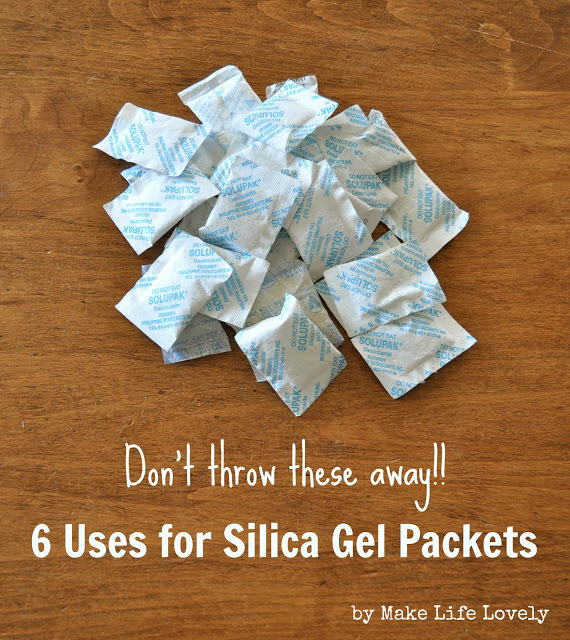 Silica gel packets are used to absorb moisture and keep things dry, so they are ideal to reuse throughout your home where you might be worried about excess moisture. Here are a few places we have found these packets to be useful. Just make sure that you keep these out of the reach of children! They are not to be eaten.